Fig. 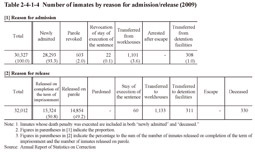 2-4-1-3 shows the number of new inmates over the last 20 years. 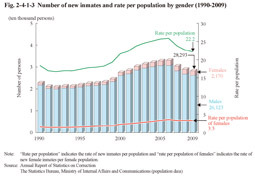 After reaching a post WWII low of 20,864 in 1992 the number then started to constantly increase, although it then started to decrease every year from 2007 on, and was 28,293 in 2009. 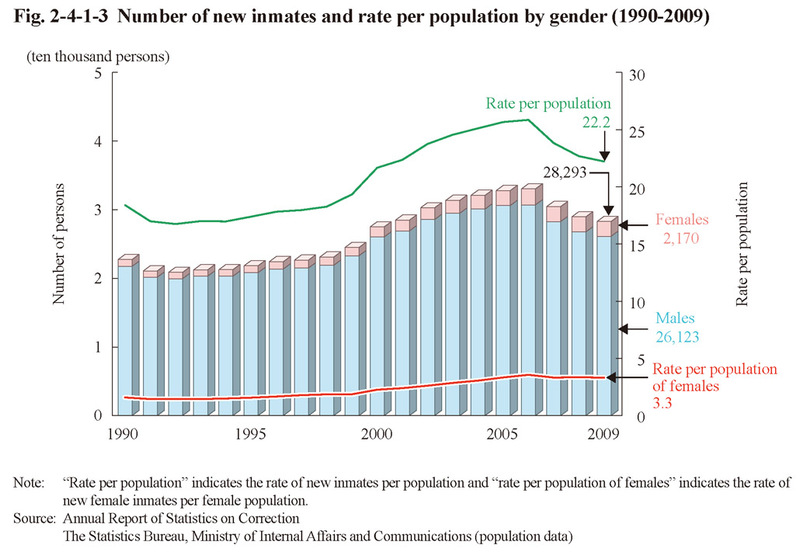 There were a total of 914 new female inmates in 1992 but which then continuously increased to be 2,333 in 2006. It remained at the high level of 2,170 (down 1.1% from the previous year) in 2009, which is approximately 2.4 times of that in 1992. 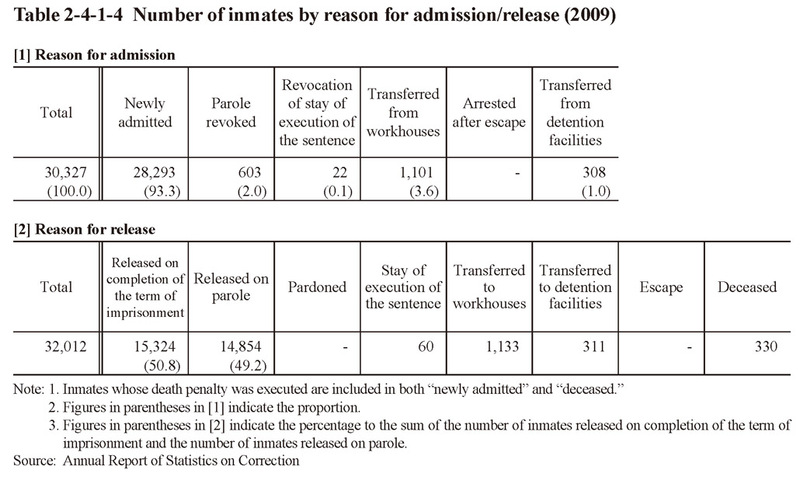 Table 2-4-1-4 shows the number of inmates by reason for admission/release in 2009.